I was offered the chance to check out The Real Mary King’s Close after meeting one of their fabulous employees at the Travel Massive event last month. This may seem like a common theme since I also went on the Rabbie’s Edinburgh City Tour after that event. That’s the thing with becoming an expat: you become one of the most ardent tourists in your new home! You will also inevitably have visitors to show around; expats make the best tour guides. My tour at The Real Mary King’s Close began via their recently added Royal Mile entrance, where the ticket counter is located alongside some local gifts. Just steps past the ticket counter is their locker area, which allowed me to store my backpack and jacket (yes, it’s summer in Edinburgh, but this recent island transplant still wears a winter coat!). I really appreciated this so I could be more comfortable during our hour-long tour. While waiting for my tour to begin, I perused the mini-museum waiting room, filled with plaques on the walls offering historical tidbits and a full-scale model of Mary King’s Close for you to get a better idea of what it used to look like. When my tour time arrived, we were gathered and allowed into the next room with our names checked at the door. We were greeted by our tour guide, the lovely Mel, who explained her own backstory based on a real person who lived in the Close centuries ago. Dressed in period garb but still able to crack a current joke now and then, Mel walked us into the now-underground area of Mary King’s Close. Each tour guide plays a part, so each tour will vary in the way it’s presented. From Mel’s character, we received a pseudo first-hand account of a murder in the Close, and the grisly punishment that followed. The tour itself highlights various former residents of the Close, as well as neighboring closes and their stories. 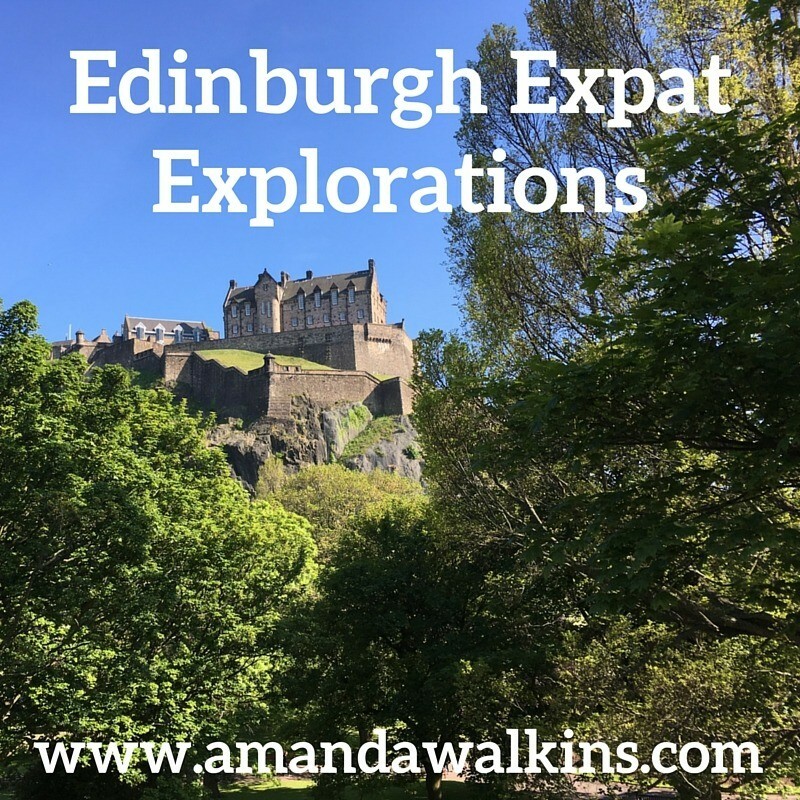 The history of the neighborhood includes several plagues, various crimes and their punishments, and a fascinating cross-section of the history of Edinburgh itself. From a protected walled city to the eclectic metropolis it is today, Mary King’s Close covers hundreds of years of change in Edinburgh. I truly appreciated the style of The Real Mary King’s Close tour, which was focused on preservation and education through entertainment. Understanding the history of Edinburgh takes effort. We can’t actually picture the past while walking around today – despite the cobblestones and frequent markers of historical importance. We can’t see the multi-story tenement buildings that were an early version of skyscrapers. We can’t smell the rank Nor’ Loch that essentially became a cesspool below the city (thankfully, that is now the stunning and beautifully fragrant Princes Street Gardens). We can’t comprehend the grime, the filth, the chaos of more than 30,000 people living within this small, walled-in city. But we can visit spaces like The Real Mary King’s Close to try to truly see the past as best we can today. The Real Mary King’s Close combines historical fact and dramatic interpretation without going overboard, which is no small feat. There is even one multimedia section of the tour, which I really enjoyed – and I’m sure the tour guides enjoy a quick reprieve from constant talking. This changes up the storytelling for a few minutes and offers even greater depth to the neighborhood and its residents. For something unique to Edinburgh, highlighting the best and worst of daily life centuries ago, I absolutely recommend you visit The Real Mary King’s Close. This is not a ghost tour. It is not meant to scare you, it is not filled with ominous music nor dark tales of hauntings. This is a history lesson. Despite the fact that the tour is underground, you must remember that the Close wasn’t always that way. If you want a scary underground tour, take a look at the plentiful other options in the city (ghost tours and the Edinburgh Dungeons come to mind). The tour varies based on your tour guide. All guides come from an acting or history background, they are provided the same script, and then they can make it their own. Mel was my guide, portraying Agnes the maid, and she was fantastic! Perhaps your guide will be more dramatic, but I appreciated that Mel stayed in character without being cheesy. This is an hour-long walking tour over uneven ground. There are several staircases and low doorways. Please do keep this in mind as it is not a very accessible tour. That being said, it adds incredible character to the tour as you are actually walking through original structures and briefly along the original Mary King’s Close. And all of this is underneath the City Chambers on the Royal Mile. Remember that while you walk around – it’s incredible! Throughout the year, the Close will open up for celebratory or special events. If you’re visiting during any of these times, be sure to plan your tour accordingly! NOW: During the Fringe Festival in August, The Real Mary King’s Close is offering a special nighttime tour called Condemned. I was offered a free preview tour while they were still rehearsing this new offering. It is still not a ghost tour, although it is decidedly different from the regular tour as they add a lot more drama throughout. Different stories are told, focusing on witches (or those accused of witchcraft) and their punishments. It is much darker – literally and figuratively – than the regular tour. Several people tripped in the darkness during our tour, which was a little concerning. During the daytime tour, the guide was very cognizant of the group and always warned us of potential issues. We all appreciated that assistance, given our unfamiliarity with the area. Personally, I prefer the original tour, which is convenient since it’s offered year-round! I wasn’t a fan of the overly dramatized and exceptionally formal script. I prefer a more natural retelling of history catered to the audience at hand. The stories were interesting, though, and being in the Close at night was (predictably) a little creepy! Christmas: Around Christmas week, The Real Mary King’s Close offers a festive celebration complete with mulled wine and mince pie. There’s also the darker aspect of the history of Christmas in Edinburgh, filled with myths and legends. I’m looking forward to checking out this version of the tour when the time comes! Burns Night: January 25th, for those not in the know, is a celebratory evening in Scotland – but not just because it’s our anniversary. In honor of bard Rabbie Burns, haggis, whisky, and poetry abound. At The Real Mary King’s Close, you’ll find a similar celebration for the literary contributions of Rabbie Burns. Keep an eye out for other special events, especially on St. Andrews Day and throughout the month of May, which happens to be Whisky Month. Tours: 1-hour in duration; be sure to arrive 15 minutes before your scheduled tour time! Optional tour add-on: For an additional £5, you can add a one-hour above-ground tour with a tour guide from The Real Mary King’s Close. While I didn’t do this, I think it sounds like a great deal to get another hour of information based on current-day Edinburgh! Plus, the tour guide will still be in period dress, so that’s fun. Languages: Tours are available with English- and Spanish-speaking guides, but audio guides for other languages are also available. Cafe: The new Royal Exchange Coffee House was the 1000th business to achieve the prestigious “Taste Our Best” accreditation from VisitScotland. That means their products are all local and highlight the best of Scotland. I can only vouch for their coffee, but the menu did look tempting! Gift Shop: The wide variety of locally produced artwork, gifts, jewelry, and more is impressive for a small space. My personal favorites were the Ross MacRae prints, which were also hanging in the room at the end of the tour. *2018 note: This post was written in 2016 when I visited the Close. Details and tour information may have changed so be sure to check with them before visiting. Full disclosure: As mentioned, I was offered a free ticket for The Real Mary King’s Close Edinburgh tour. If I hated it, I would tell you as much. But I really enjoyed learning about Edinburgh’s past by actually walking through the old street and houses. I was also offered the free preview of their special Condemned tour running through the Fringe Festival. But, also as mentioned, I much preferred the original tour and I highly recommend it!